Earlier this year we were contacted by Keith McCandless, co-developer of Liberating Structures. He was interested in exploring the synergies between Liberating Structures and the work of Organization Unbound. After some initial conversations, I became intrigued, and I am excited to share the start of our inquiry here. Liberating Structures (LS) are simple rules or ‘micro-structures’ for interaction that aim to include and engage every voice in the room. 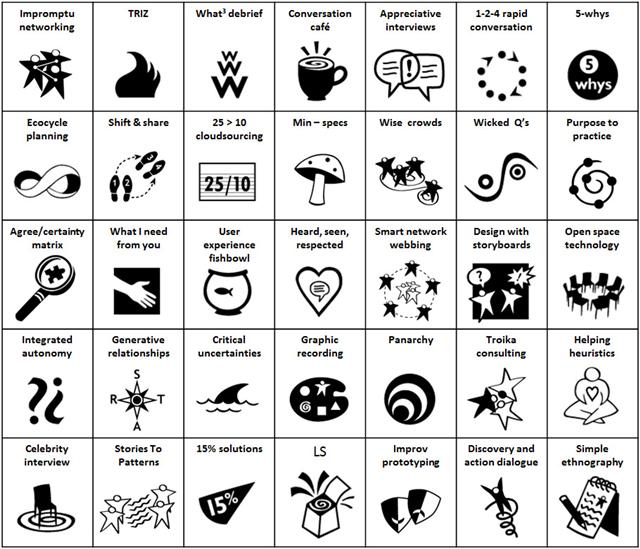 A repertoire of 33 practical methods is designed to quickly facilitate participation and collaboration in groups of any size. It is a bit counterintuitive to use structure to liberate. However, LS specify tiny shifts in the pattern of interaction that make it possible to include and unleash everybody in shaping the future. ME: What is liberating about Liberating Structures? In what way do they free us? KEITH: As individuals, LS free us from falling into unwitting behaviours that exclude people, stifle new ideas, and over-control (all attributes of conventional patterns we’ve inherited rather than the fault of any individual). When we are in groups, LS free us from deadly boring meetings, someone else’s best practices, wondering why people don’t speak up, and group process that feels like drudgery. Quickly, LS liberate individual and collective intelligence, unleashing us to make progress and shape next steps together at a breathtaking pace. ME: At Organization Unbound we are interested in how organizations with a social purpose can live out their purpose internally, in order to have a more transformative impact on the world (what we’ve come to call ‘Expressive Change’). What do you feel is the connection between this idea and Liberating Structures? KEITH: Fundamental to LS is a clear and compelling purpose. Purpose gives meaning to every step of your work and justifies your organization to the larger community. It attracts people to your work and guides how you relate to others. Purpose is central to self-authorship and self-organizing at every level from individuals to teams to units to the whole organization. With LS, we go so far as to suggest that purpose replaces vision (i.e., preferred future states). We accept that the future is unknowable and purpose guides our behaviours continuously as we make sense of the world and creatively adapt. The approach embodies the LS principle of “practice self-discovery in a group.” Individual and group purpose is shaped simultaneously and mutually out of interaction guided by Liberating Structures. Nine Whys, Wicked Questions, and Drawing Together are specific LS that help with clarifying purpose. ME: What would be your top 5 Liberating Structures for Expressive Change? KEITH: This is a tough question. The entire LS repertoire seems to fit and complement Expressive Change. Every LS helps organizations work productively with difference and the messy complexity of social challenges we face. Each LS invitation or prompt is customized to the purpose of your work. My consulting experience with social purpose organizations make me think of two top fives: one for reaching into internal operations and one for reaching out to clients/users. 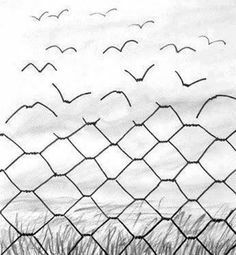 Liberating inside and outside simultaneously is very productive. Reaching into internal operations: 1-2-4-All, What3, Min Specs, 9 Whys and TRIZ. Reaching out to clients/users: Purpose To Practice, Critical Uncertainties, Discovery & Action Dialogue, Eco-cycle Planning, Simple Ethnography, and Social Network Webbing. Click on the image below to visit the other 20 Liberating Structures. And if you happen to be in Europe, check out the 7-city workshop tour that’s currently underway!